The Law Enforcement Torch Run (LETR) is upon us once more. As such, the San Pedro Police Department is asking for your assistance to raise funds which will directly benefit Special Olympics Belize. 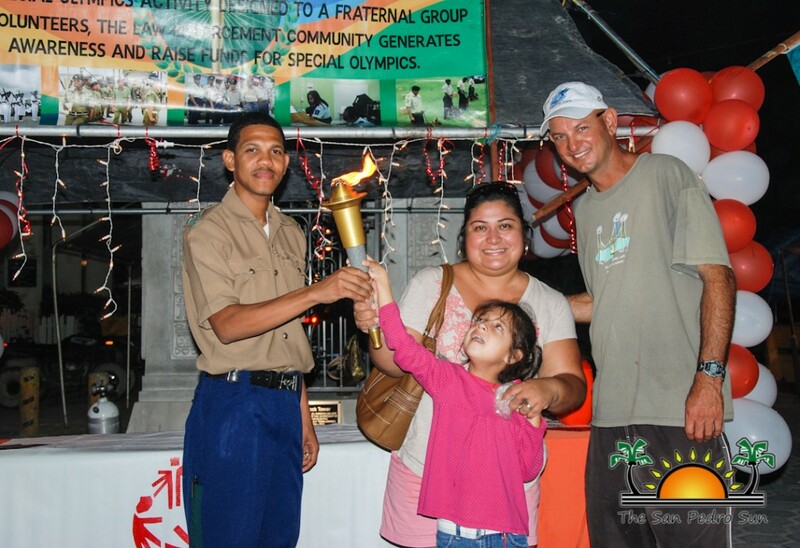 The 2015 LETR is expected to commence on Monday, November 30th at Punta Gorda Town, where the Flame of Hope will travel across the country with aims of raising awareness towards Belizeans living with disabilities and raise funds for the Special Olympics Games. 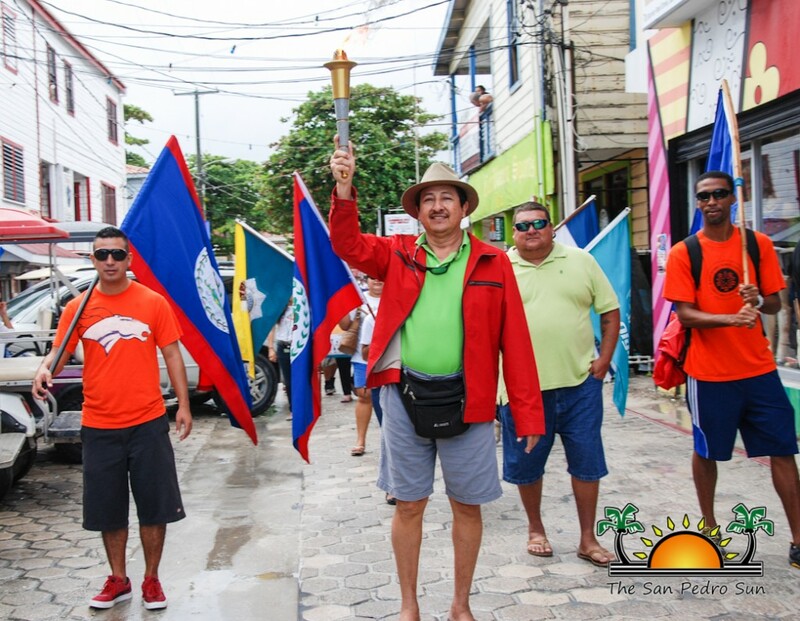 The Flame of Hope will travel to all districts until arriving at the Marion Jones Complex in Belize City for the National Games son Friday, December 4th. The Belize Police Department (BPD) has committed to assist and offer support and partnership to Special Olympics by conducting the LETR program once a year. The program is held internationally and sees law enforcement agencies coming together headed by local police departments to fundraise through different activities for Special Olympics. In 2014 the LETR program had over one hundred thousand police officers participating worldwide, raising over $46BZ million. Here in Belize, BPD along with other law enforcement agencies, managed to fundraise $7,226.72 in 2014. “Those monies were used to assist Special Olympics with expenses incurred for the National Games. We expect to go well beyond this amount with full support from the department and its partner agencies. Special Olympics Belize is an affiliate of Special Olympics International, a nonprofit designed to provide year round sports training and athletic competitions in a variety of Olympic type sports for children and adults with intellectual disabilities living within this beautiful jewel,” said Robert Mariano, Commander Management Services. Each police formation across the country is being asked to conduct fundraising drives in their respective area to assist in this cause. Officer in Charge of the Coastal Executive Unit, Superintendent Sandra Bowden has indicated that funds will be raised in both San Pedro Town and Caye Caulker Village. As such, the public is being asked to donate towards this worthy cause. 100% of the proceeds will go directly to Special Olympics Belize. The deadline for donations is Thursday, December 17th, as each formation needs to hand over collected funds by 3PM on Friday, December 18th to the Commander of Community Policing. The exact date as to when the torch will be in San Pedro will be announced later. Those interested in making a donation can visit the San Pedro Police Station on Pescador Drive, or call 206-2022 for more information.